Director of GJU Consultation and Training Center Dr. Abdallah Abdallah welcomed the participants and introduced the center's interests and plans for running several high-quality training programs and diplomas as a continues activities of GJU in contributing to the knowledge transfer of the university. The Director of the Office for Industrial Links Ms. Britta Kaehler introduced the activities the office performing to support innovation at the university and the links with the industry. She introduced the progress of the innovation support at the university and the achievements of the university Program Innovation & Entrepreneurship (PIE). 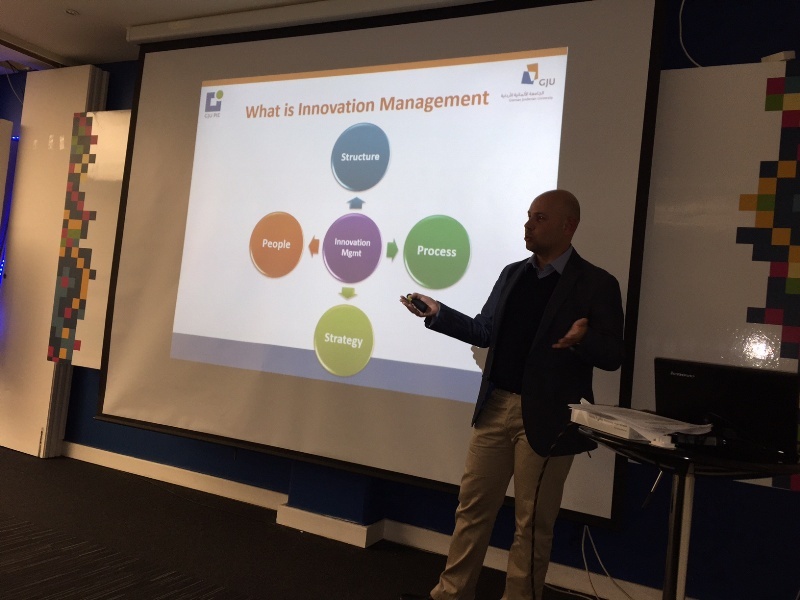 The Innovation Management Diploma is one of the new activities PIE introducing to contribute with the collaboration of the university and its industrial partners. The Manager and the main trainer of the diploma Eng. 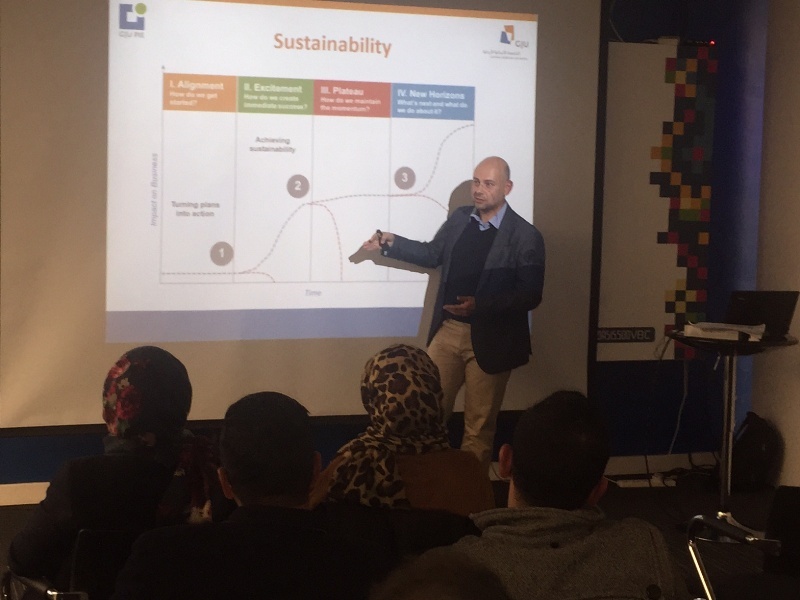 Jamil Alkhatib has introduced the program which considered the first of its kind in the region as a Professional Diploma recognized by the Ministry of Higher Education of Jordan, covering both academic and practical sides of innovation management with the focus on the Arab Region. The Diploma highlights several modules covering several phases and areas needed for organizations to support their competitiveness through sustainable innovation, these modules includes Creativity Techniques, Innovation, R&D and Technology Management, Business Model Innovation, Intellectual Property Rights, New Product Development & Management and Market Research & Tools. 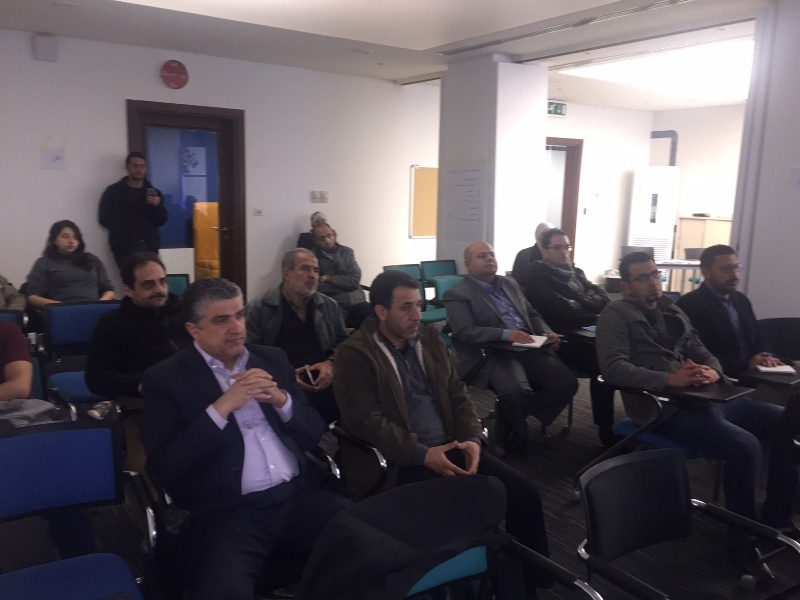 At the end of the session, an interactive discussion was conducted among the participants discussing the role and needs of the innovation for the Jordanian market and the possibilities of stimulating the development of sustainable innovation systems. The GJU team took the opportunity to announce the coming event of innovation support activities which is the establishment of GJU “Innovation Space” which will be launched on the 12th of April 2017.